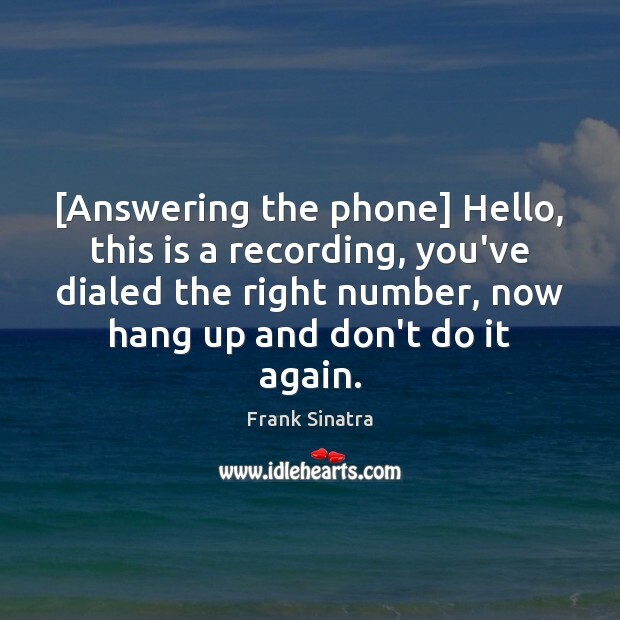 Quotations about Answering The Phone. Quotes to stimulate mind and drive action! Use the words and quote images to feed your brain inspiring things daily! 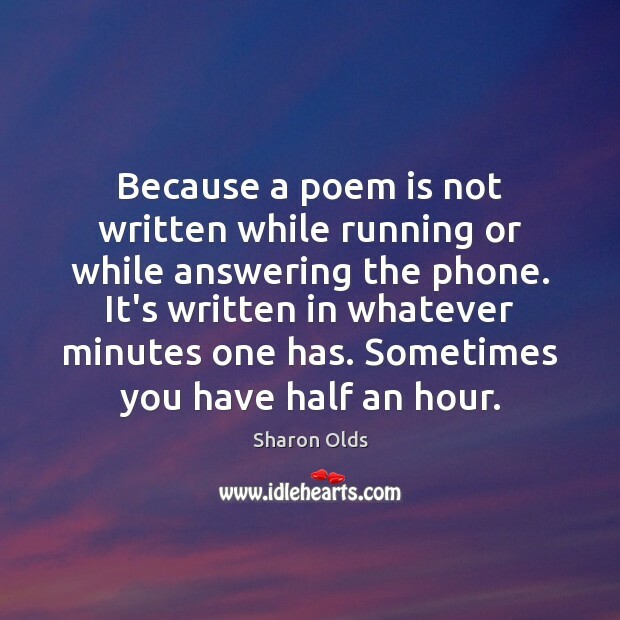 Because a poem is not written while running or while answering the phone. It's written in whatever minutes one has. Sometimes you have half an hour. [Answering the phone] Hello, this is a recording, you've dialed the right number, now hang up and don't do it again. I'm always working. I don't really set limits. I tend to go in bursts. 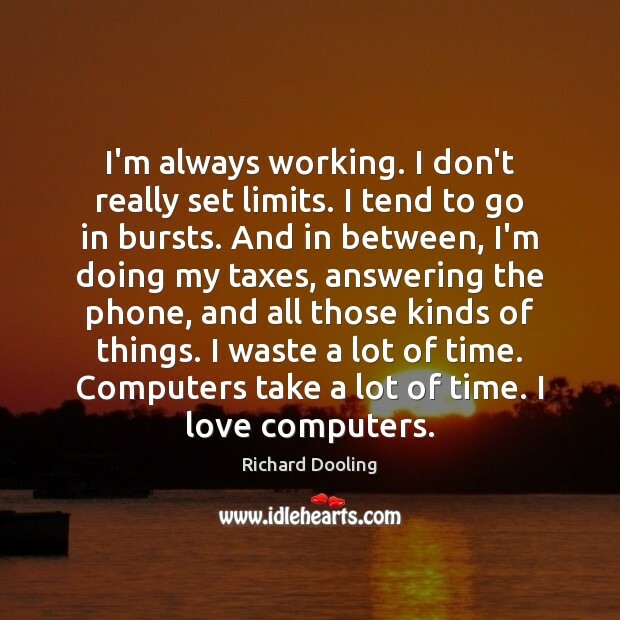 And in between, I'm doing my taxes, answering the phone, and all those kinds of things. I waste a lot of time. Computers take a lot of time. I love computers. 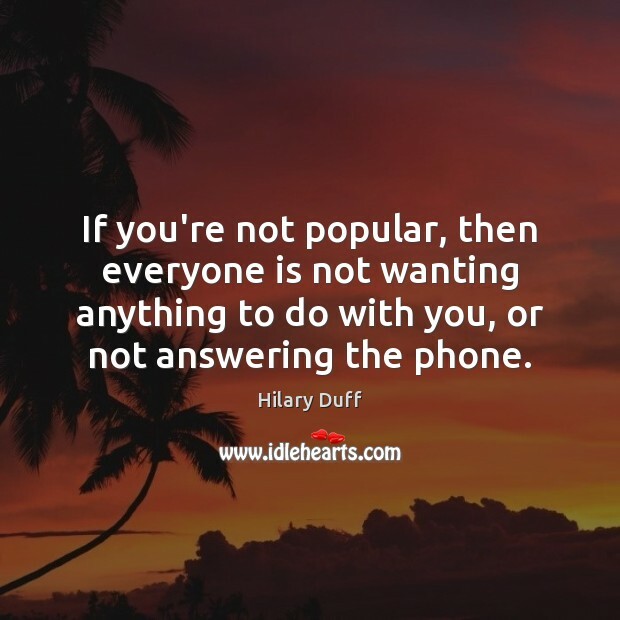 If you're not popular, then everyone is not wanting anything to do with you, or not answering the phone. 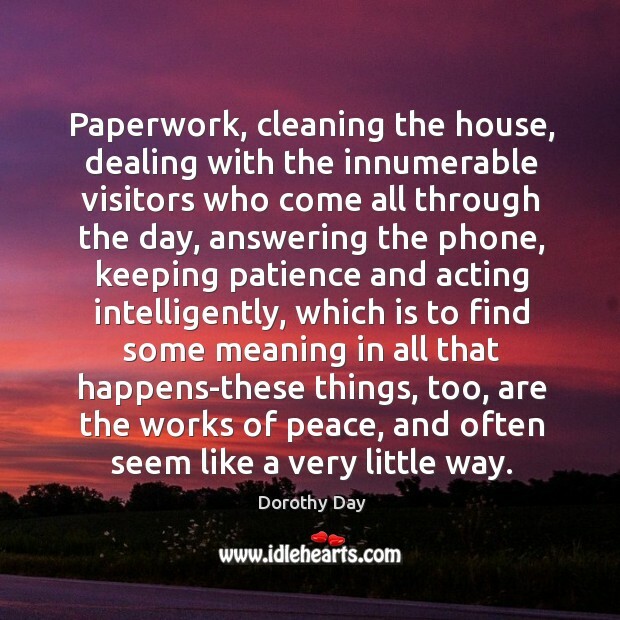 Paperwork, cleaning the house, dealing with the innumerable visitors who come all through the day, answering the phone, keeping patience and acting intelligently, which is to find some meaning in all that happens-these things, too, are the works of peace, and often seem like a very little way.